This particular dress reminded me of subdued version of Rosie Huntington-Whiteley's Cannes Alexandre Vauthier Couture dress. I recently wore this dress to a Summer wedding and received tons of compliments. 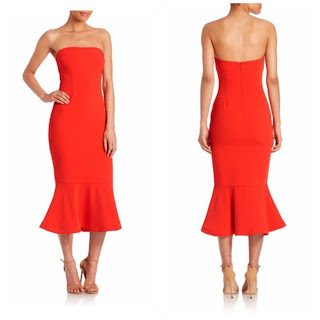 Exclusive for Intermix Stacie Ruffle Maxi Dress in Red - $149 orig. 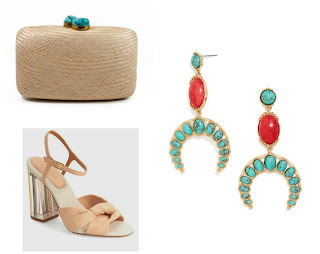 $495 (purchase at Intermix) Note currently an additional 30% off! I styled it with vintage Saint Laurent wedges and these fun BaubleBar earrings. I can also see this dress looking lovely with a pair of flats for a more casual affair or some Stuart Weitzman nudist stilettos when the event permits. 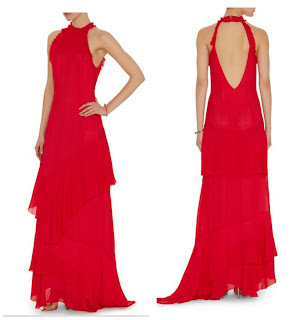 *It is also available on Rent the Runway. Channel your fiery self in Red! I shot a wedding at this place in May of last year and the couple was thrilled! They had the ceremony out on the patio then came inside to a long-table format reception which was perfect. The wedding venues cake table was backed by some stunning views.